Thanks for joining me for another interview with an RT who I believe is doing interesting and unique work and is contributing to the field of respiratory therapy. Please enjoy this conversation with Annette Lievaart. Annette, you were a highly recommended RT to interview as an individual who is making a difference outside of Canada. Can you tell us a little bit about yourself? Majority of the first half of my almost eleven years long respiratory therapy career has been in Alberta and the latter half in Kenya. 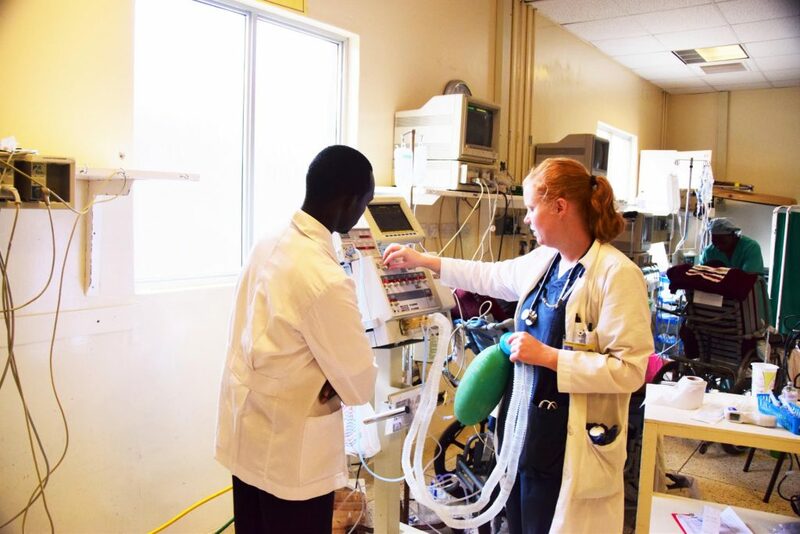 I started volunteering abroad before Respiratory Therapists Without Borders (RTWB) existed. I discovered them when they were just starting out; I became a board member. Due to logistics, I am serving with a long-term missionary organization called Reach Beyond. 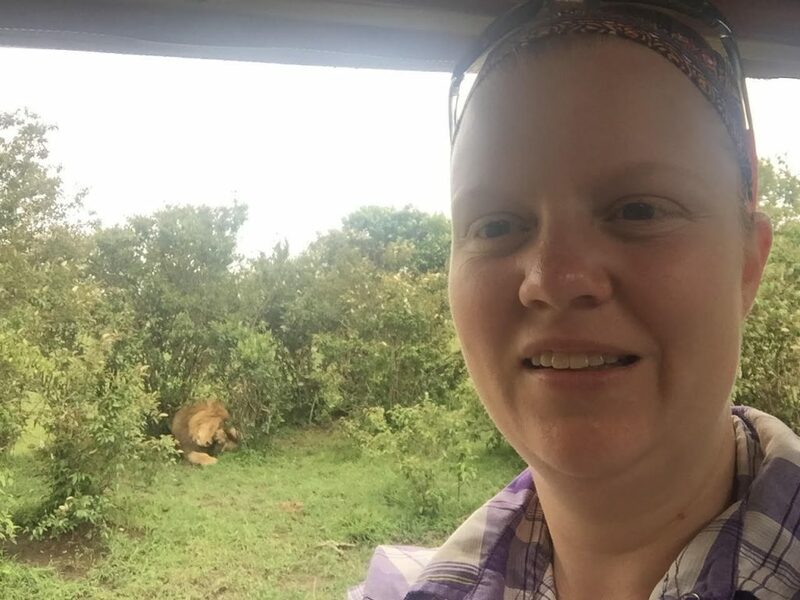 Outside of RTWB, I enjoy playing games with friends, walking my dog, exploring Kenya, reading books, and trying to figure out how to live in a culture so different from my own. My hopes with this interview is to shed light on the need for better respiratory care abroad, and that RT’s can be helpful in developing hospitals! Also, I hope to have people think about what it means to work with limited resources. When did you first hear about the respiratory therapy field? What made you decide to become an RT? In high school I spent a lot of time trying to figure out what my career was going to be. I knew I wanted to be working in healthcare but not exactly sure which area. I found a description for Respiratory Therapy online. It piqued my interest. My mom knew of someone who was a home care RT. I spent a day with her and really enjoyed it. Applied to colleges at age 18 and was off to NAIT to study Respiratory. What are some of your memorable roles so far? My most memorable role is the one I hold right now. I work at Tenwek Hospital in Kenya, Africa. Tenwek is a Christian mission hospital and I work here as a missionary Respiratory Therapist. The role is unique. I am the only RT in a 300-bed hospital. We have 13-17 ICU beds (depending if our CVICU Is open). We have 7 and a half ventilators, the half is an old Servo 900C that no longer delivers PEEP. We only use it if as a backup when the others are in use. 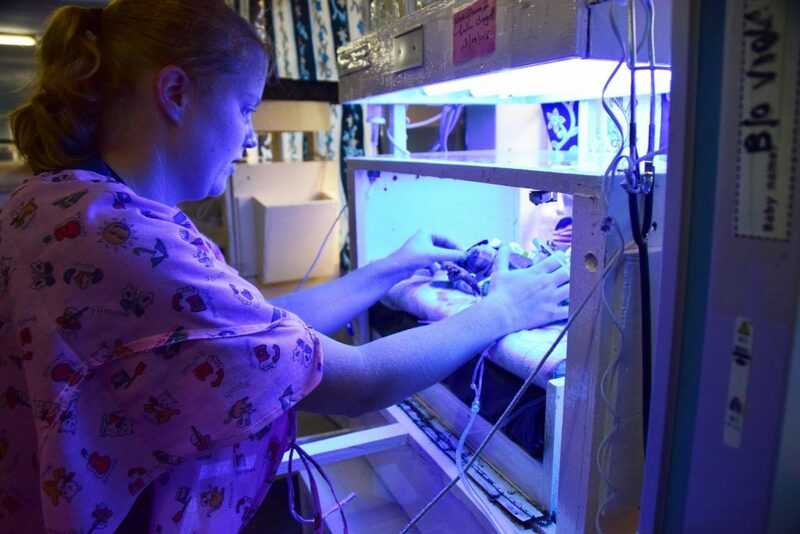 I also have 2 vents in the nursery, but we don’t often use surfactant, so the ventilators are used more for Post-ops or other short-term ventilation needs. I love this role as it is very diverse. As the only RT, I function as an educator and a bedside RT. For example, this morning when I went up to rounds I discovered that my 3-year-old burn patient was intubated overnight for worsening sepsis. I optimized his vent setting, an insp time of 0.4s is a little too short for my liking. I was thankful to see my 30-year-old trauma patient was doing well. We had put her on APRV yesterday and today her FiO2 is 50. I extubated a post-op who hadn’t reversed well from surgery. In assessing my 50-year-old who had a pneumonectomy for aspergilloma, I was saddened to see her GCS is still low. Not sure why she is not waking up. We recently got some ETCO2 detectors donated. Never had this in the ICU before so with nurse shift changes, I provide some education on why this is such a great thing. Then, I went down to my other ICU, discussed the probable futility in intubating a boy with AIDs who has PJP pneumonia, and severe sepsis. Where we are limited in ventilators and patient and their families pay the bill, we must count the cost of what we do. In this case, given the severity of illness and pre-existing conditions, we probably won’t intubate him. This is the biggest challenge of working here. Illness is so severe and for various reasons that we are limited in what we can do… we see so much death. Death of young people, babies, middle age and the elderly. Pray for us as we continue to do the work. This was my day before breakfast, the rest of my day will include educating staff, following up on the above patients, attending to emergencies, and whatever else is needed. One of the jobs I also do here is fixing ventilators. Last week I replaced a speaker in my ServoI (good thing as I needed it this week for APRV/BiVent) I also fixed a Servo300. The contacts were dirty, so I spent an hour cleaning it with a toothbrush. After all this, I need to tell you about one other role I have held in my RT career. In 2015 I was back in Canada and worked at the UofA hospital (as well as being a typical bedside RT). I also worked part-time in the respiratory workshop with 3 RT’s who do this full time. They were a wealth of knowledge. I helped and, more than that learned many things that I can use when I am called upon here to fix ventilators (Thanks Guys). How did you get involved with RTWB? What are your responsibilities and Duties? I was first in Kenya in 2010. Upon my return, I thought there needed to be an organization that connected hospitals with RTs’ who are willing to go. I stumbled across RTWB online. RTWB was just starting out at the time so I joined in. I admit I do not have a lot of responsibilities directly with RTWB. As currently the only member who is working long-term abroad I think of myself as an advisor, helping out where I can. Have you gone on any volunteering trips through RTWB? As a founder, I have done some site visits to other hospitals. Setting them up so other RT’s can visit. Who would be a good candidate to be involved with RTWB? How can RTs get involved? Let me speak about being deployed with RTWB abroad, there are various ways to be involved in Canada, but I have less experience with that. To work abroad, first, you need some good bedside RT experience. The scope of practice can be very broad when working abroad and you will be asked to do a lot. So, make sure you know what you are doing before you go. Also, one needs to be flexible; I prefer intubating with a mac blade but if the Miller blade is the only one with a working bulb, miller it is. Be willing to use clinical assessment skills rather than all the numbers. An ABG here costs 15$, many people make $5 a day. Is an ABG in this situation worth 3 days wages? If I can get by without it, then I skip it. If you want to get involved check out the deployment page on our website. Or if you know of a place that could use volunteer RT’s help set them up as a Health Education Partner on our website. Can you tell us a little bit about working outside Canada? Most of my work has been in Kenya. I have also worked at Tenwek. Aside from my work at Tenwek, I have also done some education at 2 other mission hospital in Kenya A month was also spent in Cameroon training some ICU nurses. 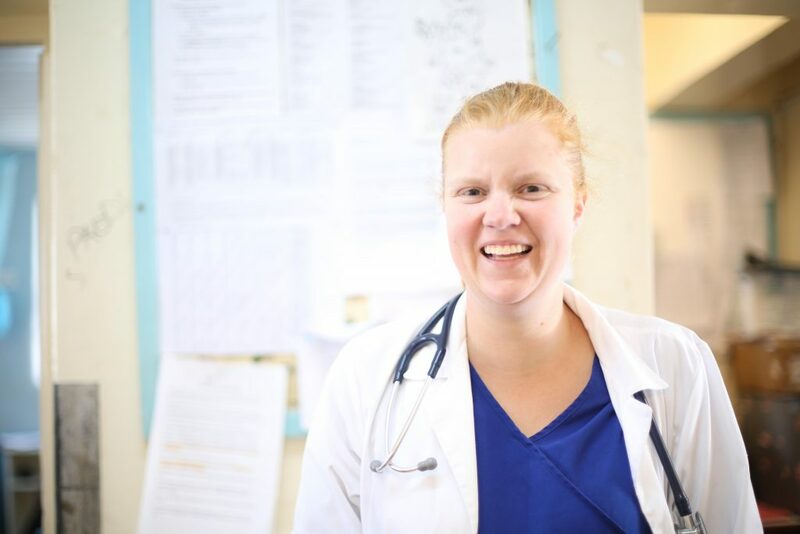 I came to Tenwek as I was looking for a place that I could share the love of God with my patients as well as fill a needed role. Tenwek was that fit. The experience is amazing, exhausting, depressing and uplifting all at the same time. 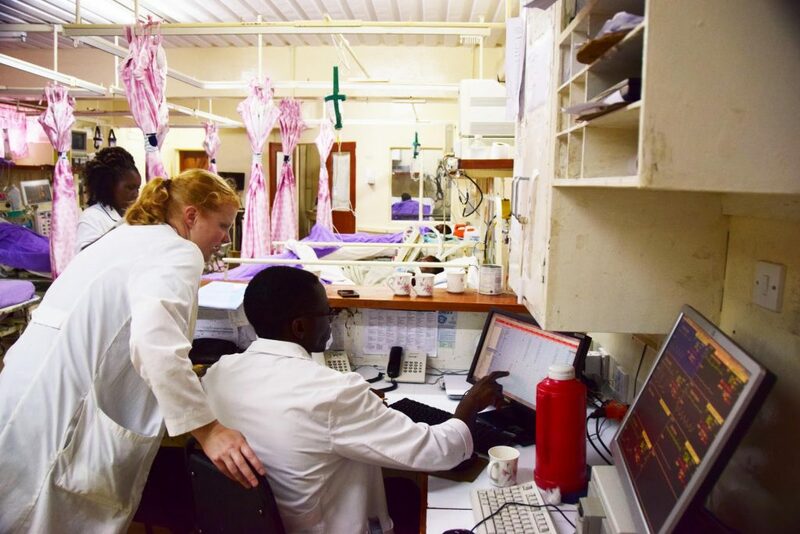 ICU’s are becoming a lot more common in developing countries, however, there is not a lot of knowledge about how to ventilate well, what different ventilator modes really do, etc. RT’s can come alongside Doctors and Nurse and help fill this knowledge gap. What advice you have for RTs who may be interested? Become an experienced RT with varying experience. I often wish I had more pediatric experience. Maybe next time I am in Canada for a year I will work with peds to gain more experience in that area. Then look for places where you can serve. Get in touch with RTWB or other contacts to see where help is required. Also, be willing to go for longer than 2-3 weeks. Work in Africa is all about relationships and without that base it is difficult to create change. I love to explore this beautiful country of Kenya, this year I climbed Mount Kenya, last month I was able to go to the rainforest and see amazing birds and monkeys. Tenwek is really in the middle of nowhere so games with friends, pizza nights (with homemade pizza) and relaxing with a book are typical ways I wind down. Who are the roles models and source of inspiration in your life? I would say my biggest role model is Jesus Christ, He loved the world so much that he died, and rose again for us, during his time on earth he spent time healing the sick and loving them. I pray for a love like that. Also, my mom is also a big role model, she died in 2016 after a fight with Scleroderma. Even when she was sick her love for life, for other and for serving other persisted. This is the biggest challenge in being the only RT at Tenwek. I wear my pager 24/7 when I am here. It has been a few weeks since I have been paged out of bed, but it will happen. I schedule weekends away either exploring or just groceries and eating out in Nairobi. I am encouraged by my community and the people back home who pray for me. I find joy in simple songs of praise to God and I give the control to him. As an RT who has not worked out of the greater Toronto area, this has been an eye-opening interview. Thank you for your time and for your compassion for your patients in Africa. Annette has been kind enough to share few photos to give us some visual perspective of her work and personal life. Enjoy these photos, and thanks for taking the time to read this blog post!